Troy Hanson graduated from Baker High School in 1992 and served his funeral director / embalming apprenticeship at two family businesses; Gray's West & Company in Baker City, Oregon and Driskill Memorial Chapel in John Day, Oregon. While attending college at Mt. Hood Community College in Gresham, Oregon, he worked for Ross Hollywood Funeral Chapel in Portland, Oregon. After graduating in June of 2000 he continued his career with Smith Lund Mills Funeral Chapel in Cottage Grove, Oregon. 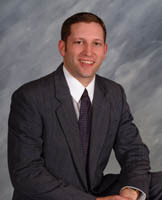 Troy returned to Eastern Oregon in January of 2002 to rejoin his parents in the family business. In 2015 he completed the purchase of his father's (Wayne Hanson) funeral home in Prineville, OR, Whispering Pines. While managing the Baker City and John Day funeral homes for Dennis and Darlene (mother & step-father), Troy's passion leads him to spend a great deal of time in Prineville preserving his father's legacy. He truly considers himself blessed to have the opportunity to serve families and friends in Baker City, John Day, and Prineville. Troy has three children: Olivia, Hayden and Sofia. He is a member of the Sumpter, Oregon Masonic Lodge, a member of the Benevolent Protective Order of Elks #1824 in John Day, and past member of the Baker City Lions Club. Troy enjoys the many outdoor activities offered in Baker, Grant, and Crook counties,from skiing and snowshoeing to elk, deer and bird hunting and fishing. He enjoys spending his time off in the surrounding mountains or on one of several rivers Northeast Oregon has to offer including the Wallowa, Imnaha, Snake, Deschutes and John Day Rivers. Troy takes an immense amount of pride in his work and does everything in his power to make sure each and every person he helps is well taken care of during their time of need as well as long after. After meeting Troy, you will have a friend. Don't hesitate to stop in and talk to Troy, he loves to chat, especially about hunting and fishing! Dennis and Darlene Teskey have owned and operated Gray's West & Company Pioneer Chapel since 1992 and in 2016 they sold the business to their son, Troy. Dennis graduated from Ashland High School in 1970 then attended Southern Oregon College before he began his apprenticeship at Litwieller Funeral Home in Ashland. He graduated from Mt. Hood Community College in 1974 with a degree in Mortuary Science. After managing one of the largest funeral homes in Portland, Oregon for many years, Dennis helped start two new funeral homes, then managed the largest funeral home in the Northwest in downtown Seattle before purchasing Gray's West and Company. He is a member of Rotary International, Masonic Lodge, Elks, a sponsor member of the Rocky Mountain Elk Foundation, past board member for Salvation Army, and a past member of the Jaycees. Dennis is an avid outdoorsman and enjoyes the opportunities Baker County offers for archery, fishing, boating, skiing and snowmobiling. 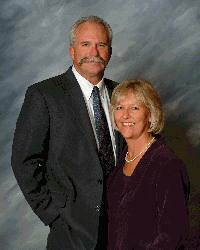 Darlene graduated from Crook County High School in Prineville, Oregon in 1969 and attended Mt. Hood Community College and Clackamas Community College. She resided in Baker County in the early 1970s when she lived in Unity, Oregon, then moved to Grant County where she resided in John Day. Darlene obtained her insurance license from the State of Oregon in 1992 and became a licensed funeral director in 1994. She served on the board of directors for Baker County Historical Society as Treasurer, Baker City Lions, Baker City Kiwanis as President, Business and Professional Women, and WISE. She is active with Chamber of Commerce activities, Kiwanis, and co-ordinates the grief seminars sponsored by Gray's West & Company. Dennis and Darlene are members of the Nazarene Church. They have three grown children, Angela, Troy and Season and enjoy spending time with their 7 grandchildren. Their love for the outdoors and longing for a more relaxed lifestyle brought them to Baker City where they use their expertise to help families and friends through difficult times and decisions.